Last Saturday July 17th saw the official opening of Scallywags Bar and Grill on Nusa Lembongan. The first night was a tremendous success with an unbelievable number of people turning up. The island has been crying out for an establishment of this nature and quality for a long time, and I am sure it will be an enduring success story. 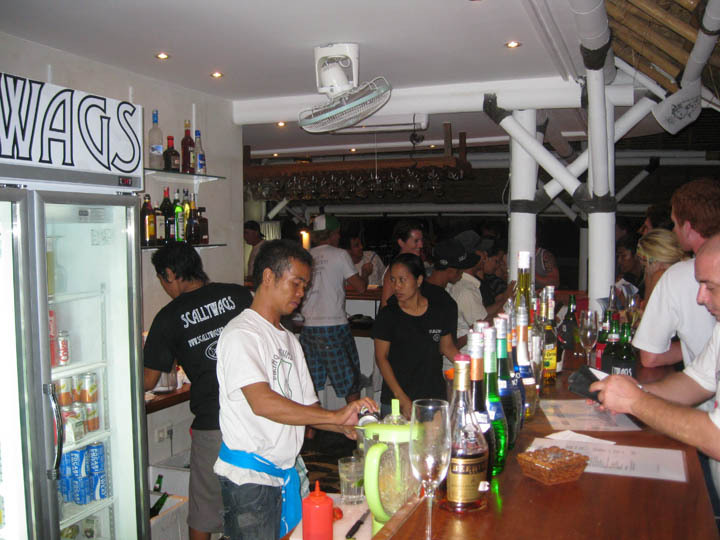 Scallywags is a name well known to those who have visited the Gili Islands, and the format which has been so successful with their two venues there has been repeated on Lembongan. It is located right on the beach at Sandy Bay in the southwest of the island. 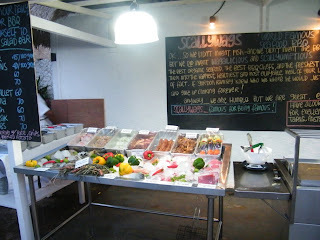 Key offerings include a wonderful beachfront pool with a wooden deck and lots of loungers, a very long and smart bar serving ice cold beers and superb cocktails, the best wine cellar on anywhere on the island, a daily barbecue and well thought out a la carte menu. Scallywags serves breakfast, lunch and dinner, opening at 8AM and closing around 11PM. Call 0828 97005656 for free transport from other parts of the island. 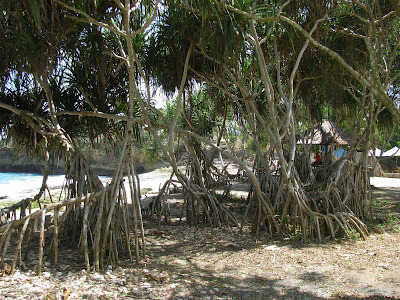 Visitors to Nusa Lembongan have for some time been lamenting the lack of a decent map of the island. I am pleased to report that NLP have put that right and produced a superb new Nusa Lembongan map which is available free to anyone who wants it. The map accurately and clearly shows places of interest, accomodation, restaurants and the road & lane network on the island. A great initiative and one which will be warmly welcomed by all visitors to Nusa Lembongan. 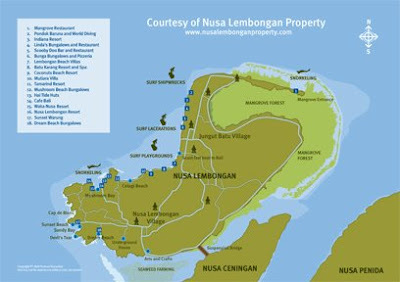 To receive a complimentary copy of the Nusa Lembongan map as a high-resolution, print-quality PDF, please send an email to NLP here. There are few people out there who would not be aware of the threats posed to the various species of marine turtle which grace our oceans in different corners of the world. I am very pleased to report that Nusa Lembongan is participating in a program to help address these threats. 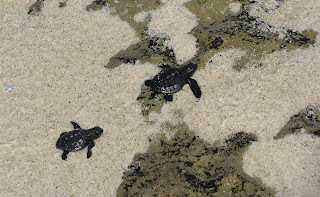 This weekend I was lucky enough to witness the release of 15 or so baby turtles on my v ery favourite Sunset Beach on Nusa Lembongan. Each of the tiny youngsters made it successfully to the ocean and it was great to see the interest from all the participating visitors and the children in particular. Clearly this is a very worthy programme and one which we would urge all visitors to island to participate in. 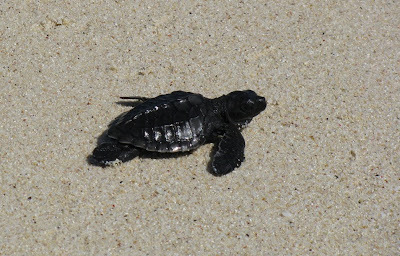 For just US$10 you can adopt and release a baby turtle. There may be other participants in the scheme but I can certainly recommend Bali Hai Cruises from everything I witnessed this weekend. According to the supervisor they are running multiple release cruises at the moment and more details are available on the Bali Hai Cruises website. 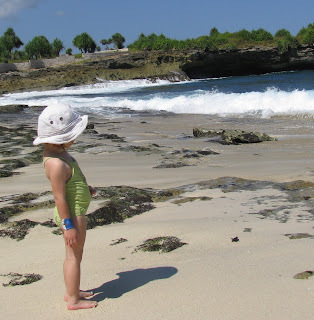 It is a relatively short ride across the channel from Bali to Nusa Lembongan and there are several scheduled boat services now plying the route. It can be a little confusing for first timers and I hope this article proves useful in explaining the various transfer options available. 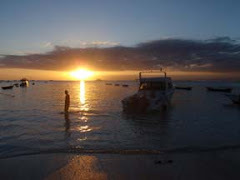 Most of the scheduled boat services (fast and slow) depart from Sanur beach in Bali at the end of Jalan Hangtuah. Most taxi drivers will know where this is. 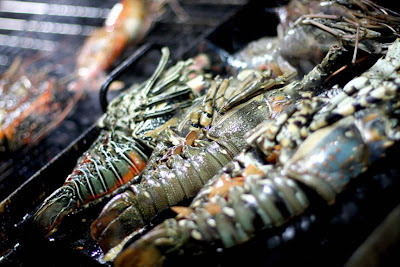 If in doubt, ask to go to Sanur Beach close to the Inna Grand Bali Beach Hotel. The prices and schedules given are correct to the best of our knowledge at the time of publication. We strongly recommend though that you check as these are subject to quite regular change. Leaves from Sanur beach. Scoot operates fast comfortable boats which take you to Jungut Batu for US$45.00 return (adults). Hotel vehicle transfers are included. The tickets can be bought from the Scoot office next to Dunkin' Donuts in Jalan Hangtuah, Sanur or on the beach near the departure point. The crossing is 30 to 40 minutes. The service departs Sanur daily at 9.30am, 1.30pm & 4.00 pm and departs from Nusa Lembongan at 8.30am, 11.30am & 3.00 pm. Scoot is the service used most often by the writers of this blog. 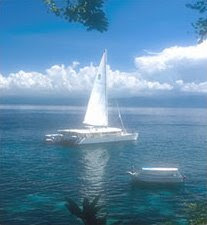 BWS operates a daily fast boat service out of Benoa Harbour (NOT Sanur) to Nusa Lembongan and also offers a very useful direct connection to the Gili Islands in neighbouring Lombok. 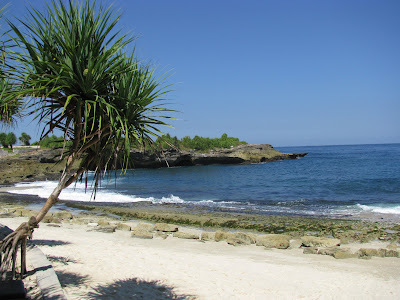 The crossing to Lembongan takes about 30 minutes and costs IDR 325,000 one way including hotel transfers. Perama is a local transport operator aimed at the budget traveller. It has almost cult status amongst back-packer visitors to Indonesia, plying it services across the vast archipelago for very reasonable prices. 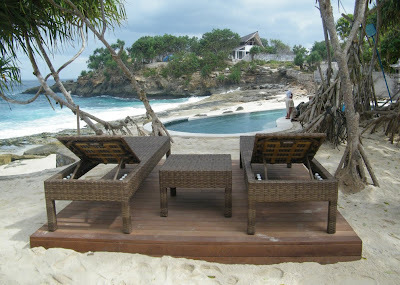 There is no same day return option to Nusa Lembongan. Fare is IDR 100,000 one way and there is a network of connecting bus-links from around Bali. 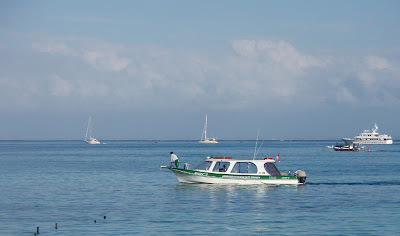 Boat departures daily at 10.30am from Sanur Beach. The ride across is approximately 90 minutes. The office of Perama in Sanur can be found at Warung Pojok in Jalan Hangtuah. These depart daily from Sanur beach at 08.00am in front of the Ananda Hotel or near the Grand Inna Bali Beach Hotel. The boats can be a little worrying at times (!) and are usually very crowded. There is no same day return. The ride across is approximately 90 minutes and the current fare is IDR 75,000 each way. To be frank, we would not recommend doing this unless you are on a really tight budget! There are a number of day cruise operators who run services out of Benoa Harbour in Bali to Nusa Lembongan. These normally involve a package of some sort including meals, water sport activities on Lembongan and a day return fare. 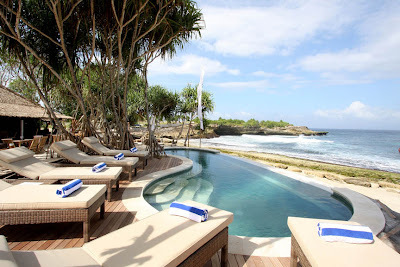 Not really recommended as an option for those wishing to reach the island and stay there, but if you are on a tight time schedule in Bali and just wish to see Lembongan very briefly then these could work for you. For those wanting a truly adventurous experience! 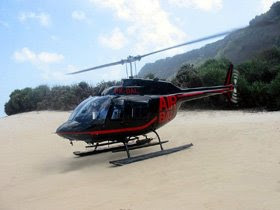 Air Bali is Bali’s leading helicopter operator and would be delighted to arrange a charter to Nusa Lembongan which could even be combined with an aerial tour of Bali and neigbouring islands. 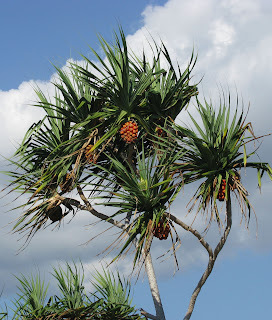 I hope you find this article helpful and whichever transfer option you choose, I am sure you will have a great time visiting this most wonderful of Tropical Islands. Sometimes a photo just grabs you. It might not be the best shot technically but it encompasses a memory perfectly. The latter is certainly the case with the photo reproduced below. This photo was taken by my dear friend's brother on his first visit to Indonesia earlier this year. He is neither a professional photographer nor even a keen amateur but has produced here a picture which means so much to me. 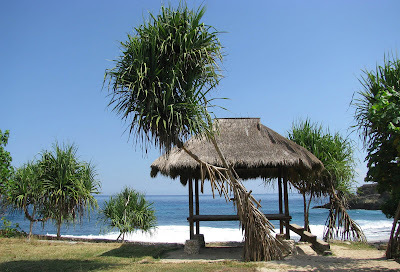 It shows the view of east Bali from the north facing coast of the tiny neighbouring island of Nusa Lembongan. 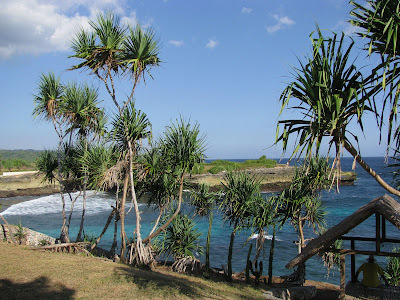 My own understanding of the spirit and atmosphere of Lembongan and Bali are both captured perfectly by this image. The highest peak in the photo is Bali's fabled Mount Agung. To the Hindu Balinese this volcano represents 3,142 metres of pure sacred energy - the home of the Gods on the Island of the Gods; a replica of Mount Meru, the spiritual axis of the universe. From the extraordinary crystal clear blue seas with rolling surf to the small fishing boats in Lembongan's Jungut Batu bay and then the undeniable majesty of Mount Agung, this photograph represents perfectly to me the image and atmosphere on Nusa Lembongan when looking back at Bali.